John Idan is working with the following bands as well as a session player. John Idan's brand new outfit. In 2014 John's first professional band goes back on the road - with a blend of fantastic musicians. Celebrity blues-rock group led by Ric Lee, drummer with Ten Years After and pianist Bob Hall, founder member of Savoy Brown. Ric Lee's Natural Born Swingers was founded By Ric Lee and Bob Hall to celebrate the music of the British blues invasion and as a vehicle for our own original compositions. 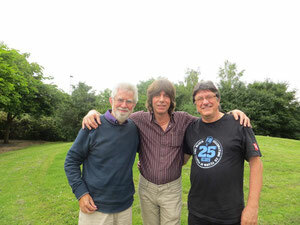 Other original members Danny Handley and Scott Whitley have moved on to The Animals and have since been replaced by two outstanding musicians, John Idan (Yardbirds) guitar/vocals and Gary Fletcher (The Blues Band) bass/vocals. 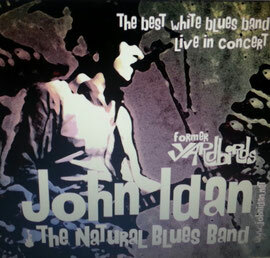 The John Idan Group was founded in 2008 shortly before John Idan’s departure from his longtime band ‘The Yardbirds’ and is now his main group. The line-up has since manifested itself to a cast of top-notch players with a set European line-up (John Idan (Yardbirds) on vocals and guitar, Peter Miles (Bee Gee’s, Alexis Korner) or Tony Natale (John Fogherty) on drums, Iain Fidler on Hammond organ, International Man of Mystery: Fox or Alexander Binder (Clueso, Max Prosa) on bass) and changing cast of the highest quality American/Canadian players for the American band. The group is playing original material from John’s album ‘The Folly’ and the finest blues, soul and rock music from in and outside the borders of his hometown Detroit. Alternatively, upon request the group offers a stage show which is designed for corporative events and functions and custom tailored to each client’s musical taste. Having known each other for over 20 years, John Idan and his mentor Top Topham, who was instrumental in bringing Idan over to the UK, have never stopped playing together or lost their musical bond. The band consists of John Idan on guitar and vocals, Top Topham on guitar, Ed Spevock on drums and Jim Merser on the upright bass. Because of Idan’s American background, his amazingly ‘black’ blues voice and both, his and Top Topham’s great, inspired guitar playing and improvised guitar duels, it is possible for them to play the finest Detroit and Chicago blues with an authentic atmosphere! ‘A Long Time on This Road’ is a unique acoustic show in which John Idan tells the many great, funny and partially scary stories a touring musician experiences in 20 years on the road, augmented by the songs that touched or inspired him throughout those experiences. 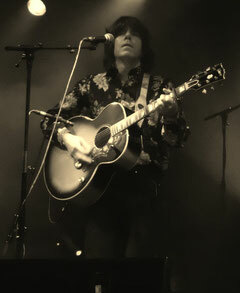 Having been the lead vocalist in the British band The Yardbirds, Idan toured around the world and shared the stage with many well respected musicians such as Slash, Steve Vai, The Doors, The Vanilla Fudge, The Zombies, The Spencer Davis Group, Richie Haven to name only a few. 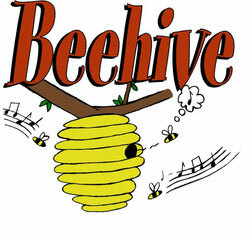 The audience can look forward to an unforgettable experience with music and stories that cannot be found anywhere else! For non-English speaking audiences John travels with a translator who makes sure that everyone can overcome their language barriers. Leave it to Lord Dome aka Keith Johnson to write a cool, simple Rockin’ tune and to inadvertently reunite me with my old Yardbird colleagues Chris Dreja and Jim McCarty! A few years ago Dome played me a demo of "I Can't Hold On" and asked if I might like to work with him on it. I liked the feel of the song and thought this could be really good. Time rolled on and eventually I found myself in Connecticut laying down tracks with him and Pat Keogh. It was recorded in a similar fashion as my album The Folly with myself playing all the instruments, of course here the exception is Lord Dome's guitar interplay and weaving ala Keith and Brian (or Mick T.) with Backing Vocals by Jim McCarty who's vocal texture is so distinct and blends ever so nicely. Chris's maracas were done completely on the fly, and people who know, have heard Mr. Dreja's maraca work on many classic Yardbird tracks. It is a delight to have them both here!